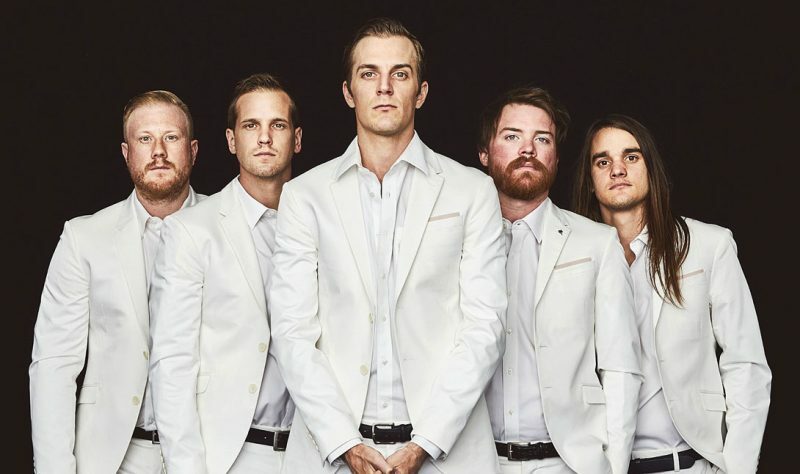 Arizona alternative rock band The Maine have released “Numb without you”, the first single from their upcoming seventh album “You are OK”. The upbeat track, produced by Matt Squire (Panic! at the Disco, Good Charlotte, Simple Plan), is the group’s first new song in two years, and leads their first collection of new material since their 2017 album “Lovely little lonely”. About the new record, frontman John O’Callaghan said: “..trying to describe sound without giving you anything to listen to is an awfully tough task, so sparing the particulars of sonics I can tell you that this record is risky. The risk lies in its urgency, its relentlessness, and its manic mood swings. Yet even inside all the taken chances there exists a familiarity that I think will be heard once you spin it”. “You are OK” is out March 29. I’ve been a fan of The Maine since 2008/2009 and this is honestly the best song I have ever heard from them. That’s saying so much. I cannot WAIT for this new album and meanwhile I’ll be streaming this song 6392916 times a day. Numb Without You is so amazing, I just can’t stop listening to it. Can’t wait for the rest of the album!